A dogbone at each end (approx. 35 cm long). 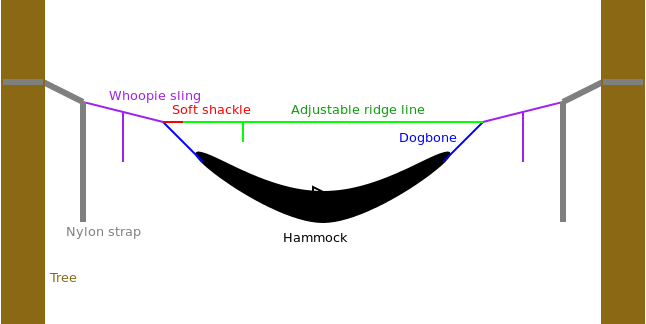 A whoopie sling at each end (50 – 240 cm), fixed eye larksheaded through said dogbone. The dogbones and whoopie slings were spliced from 2.5 mm dyneema rope. The soft shackle and ridge line are made of 1.5 mm dyneema. The entire splicing took one afternoon. Considering that it was my first time, I’m quite happy. Actually, when I spliced the first dogbone and figured out some tricks, it all went pretty smoothly. Ah, I’m a real mosquitophobe and so I was looking forward to having a total protection from those pesky insects. 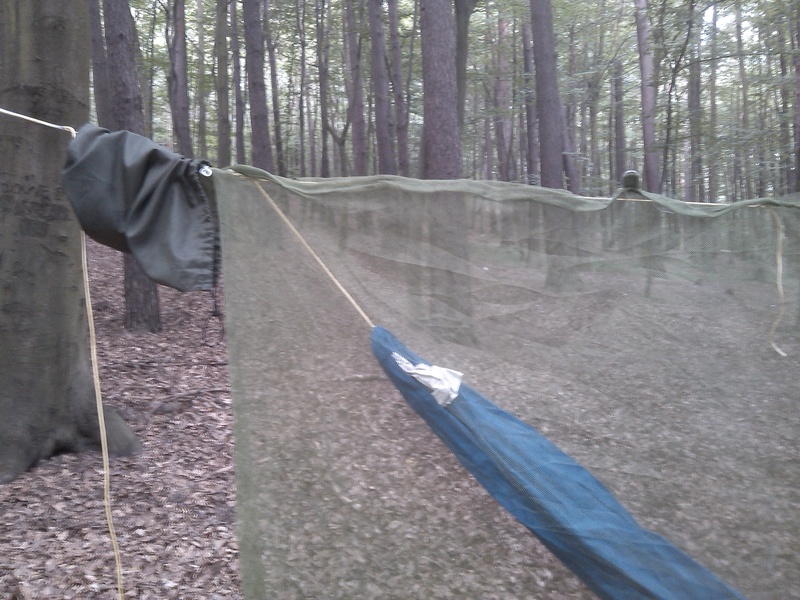 And since I like to switch between sleeping on the ground and in a hammock (and soon also in SE Asian hostels), I wanted my net to be usable in all those conditions, i.e., to have an opening in the bottom wide enough to fit an entire bed or at least a sleeping pad. Luckily, no suitable product could be found so I got an opportunity for another DIY project. 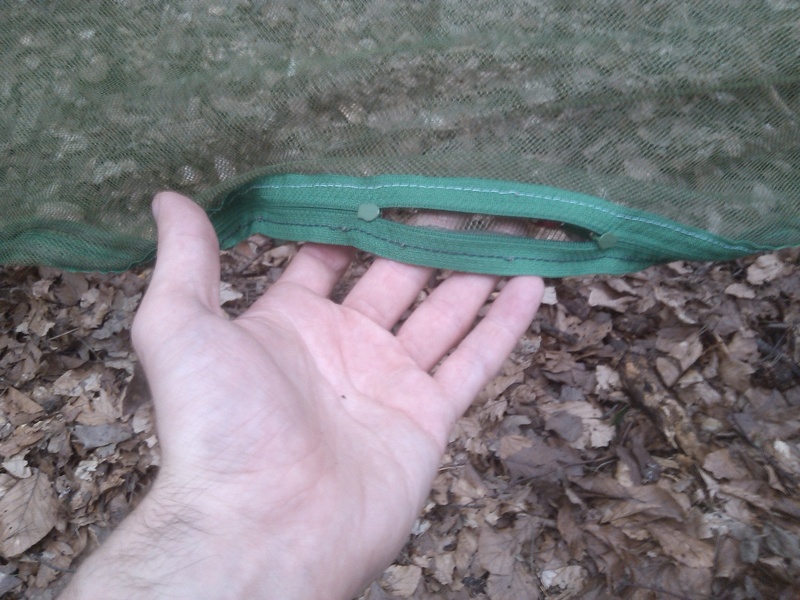 To my surprise, I couldn’t even find suitable fabric, so eventually I decided to buy a Dutch military surplus cot mosquito net just to scavenge the mesh. my first two designs turned out to be bad ideas and I had to test the prototypes in a forest and then start all over again in few iterations. At the bottom edge there is a zipper running for the entire length, with two opposing sliders. 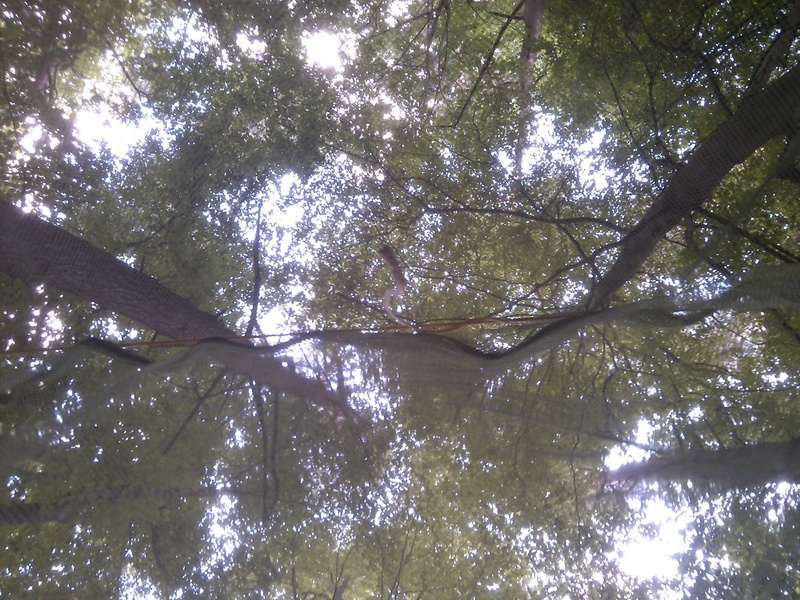 Each of the upper corners has a small hole for the hammock hanging ropes. Along the upper edge there are three small rings sewn in, in case I want to hang it without the hammock and its ridge line. The bag that came with the original net now holds the entire set, except for the straps which are stored separately in case they get dirty from resin and such. 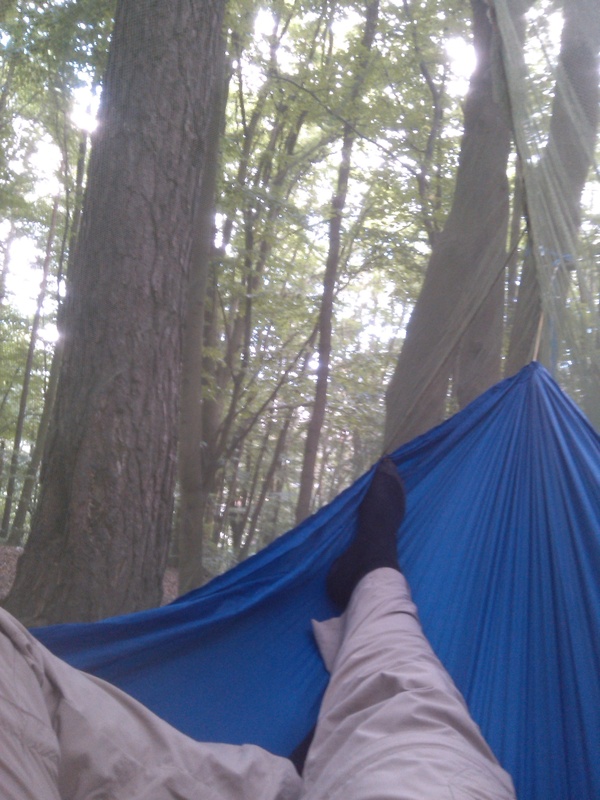 During test hangs in a nearby forest it seemed to work great. How it would perform in the field remained to be seen as I was about to start my trip to Balkans in just few days (spoiler alert; it worked great). 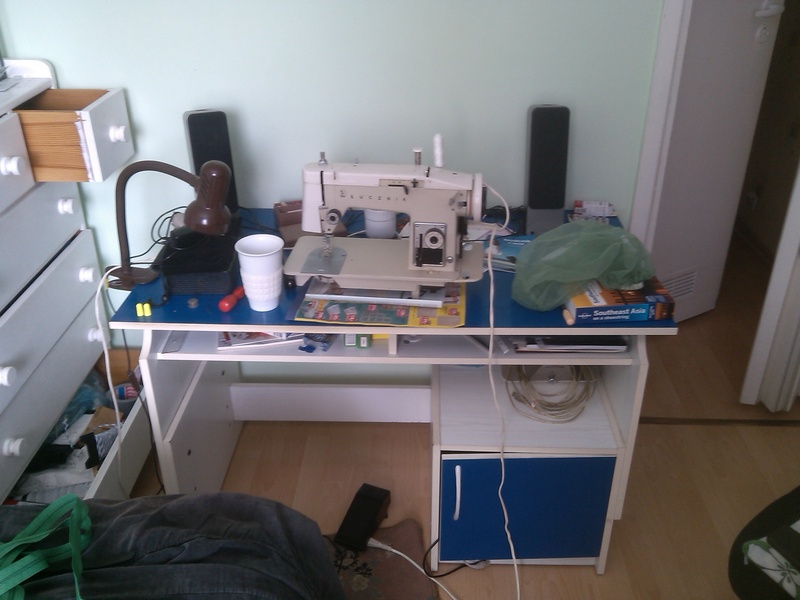 In total, my entire system cost 232 PLN or 74 USD, plus three days worth of work. Quite a lot. 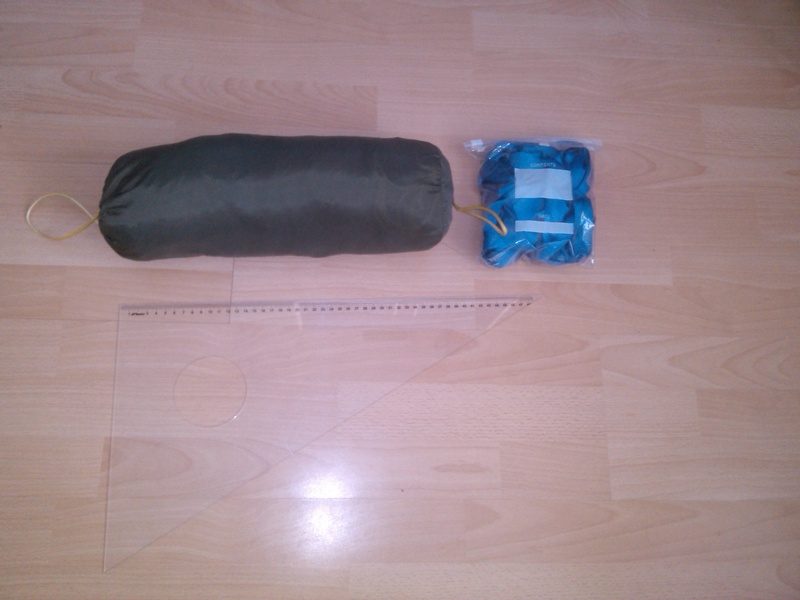 I guess that’s what I pay for mosquito net versatility and the tarp more comfortable (bigger) than the required minimum (which in my case would be 2m x 3m). 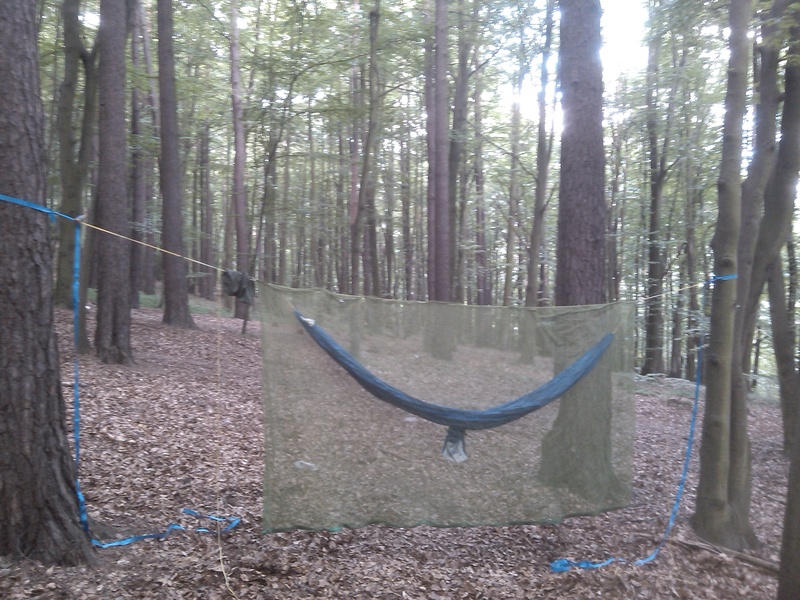 This entry was posted on Friday, August 8th, 2014 at 9:26 pm	and tagged with camping, DIY, gear, hammock, mosquito net and posted in Hiking. You can follow any responses to this entry through the RSS 2.0 feed.